When learning about how to use a telescope and how to make one yourself, we came across a very good site  maintained by Will Kalif and were impressed by the content on the website, it is the culmination of years of experience and insights. 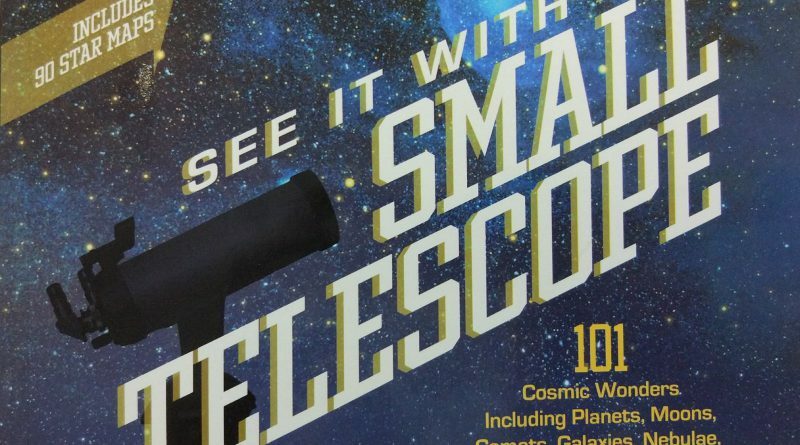 Later we got to know that Mr Will Kalif has also published a book on telescopes titled “See It with a Small Telescope: 101 Cosmic Wonders” and we thought to give it a try for our ventures into the night sky and for our readers. Will received his first telescope as a Christmas present and motivated many people since then after feeling the joy of watching heavens himself. After reading the book, the first thing come to mind is – to the point and clear. This book is written primarily for novice and amateurs, it introduces the concept at the basic level and expands it if it is required. Author motivates the amateurs not to give up, start small, and keep trying until it works. The book talks richness of the night sky from the moon, to 60 million years far spiral galaxy, to cluster – like Galileo found them. The sky is not just filled with only stars but there are different objects galaxies, nebulae, planets, etc. Will points that don’t compare your telescope experience with the Hubble but enjoy the pleasure of observing things yourself and appreciating it. Readers are encouraged to read in sequence but you can skip to the chapter of interest based on your experience. It is very important to set up your telescope in advance to let its optics adjust to the temperature and humidity, yes it adjusts. 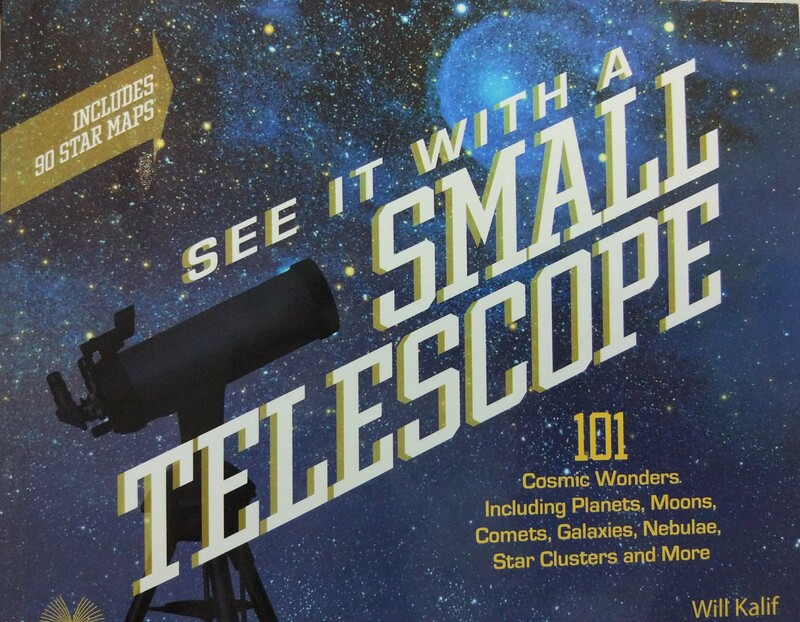 Most of the pictures used in the books are captured by small telescopes like 6” or less. The book brings clarity to the thoughts and the process of observation in a step by step manner. No extra fillers are used, the author talks directly to the point in a logical manner. It is important to know and use star charts and catalogues like Messier and NGC (New General Catalog) along with the details of magnitude and international convention of celestial coordinates with best viewing months, this book covers that too. You can start with easy to find objects like the moon, Jupiter, Saturn, M 13 globular, Andromeda and Orion nebula and then expand into deep sky objects slowly as they are covered in their own chapter. 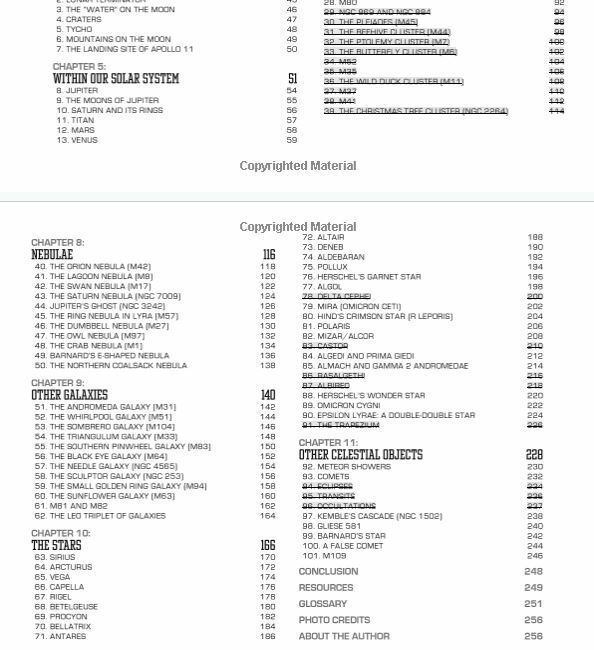 The book is divided into 11 chapters with first 3 chapters are dedicated to the basics ranging from telescopes to astrophotography to our galaxy milky way. Telescopes parts, filters, mounting and viewing technique are covered in basic details. Important researched items are also included like using the side of the eye than the centre (averted vision) along with common Q&A like why and what to do when a telescope is having vibration, an object is in upside down position? Piggybacking, afocal, prime focus, eyepiece projection photography techniques are also introduced to the readers in the book. Navigating the night sky by locating the cloudy band of the milky way, spotting Ursa (major and minor), Cassiopeia, Cygnus are covered in each separate chapters. The concept of ecliptic path containing all the planets and sun, the moon is very important one and the author has highlighted it on several occasions. Overall the whole book is an interesting read and must be part of every beginner’s collection. Will has managed to bring in many years of his passion into a well defined and to the point content that readers will enjoy.